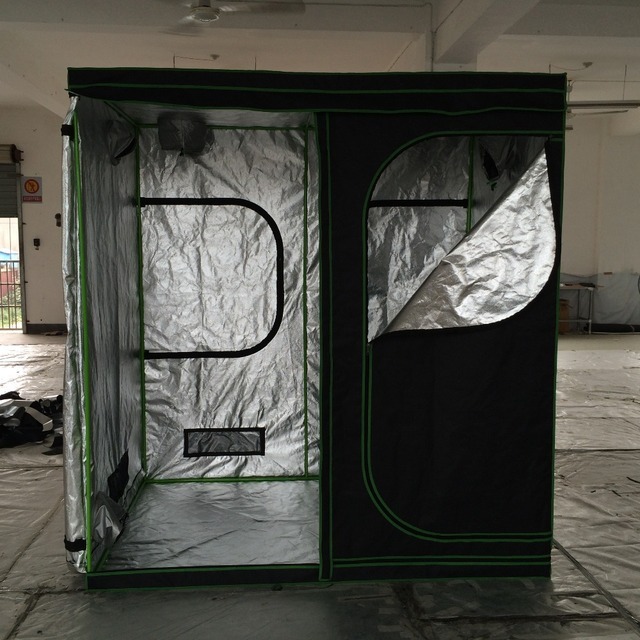 Perfect for keeping a clean environment in and out of your grow room. Completely odorless so your neighbors will have nothing to complain about. Professional grade – Grow like a pro, even if your still an amateur! 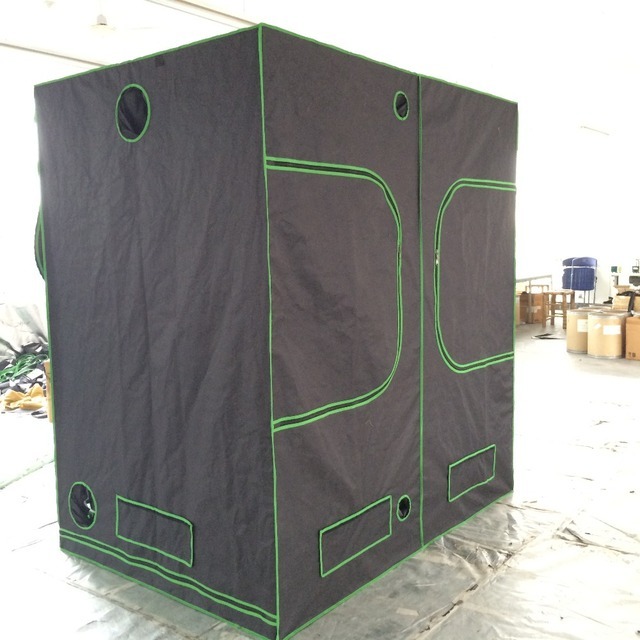 Allows your growing environment to be contained and controlled any way you want. Adjust temperature, control humidity and CO2 levels. • Solid Materiel – It’s outer casing is constructed from commercial-grade 600D, puncture-resistant, waterproof, oxford nylon fabric. This material is non toxic, and is also immune to mildew and fire-resistant. • Completely Light Proof – Heavy duty material blocks ambient light from entering, and light from exiting. • 100% Reflective Materiel- Highly reflective interior allows plants to absorb all the light given without wasting any. It’s durable and doesn’t fade. 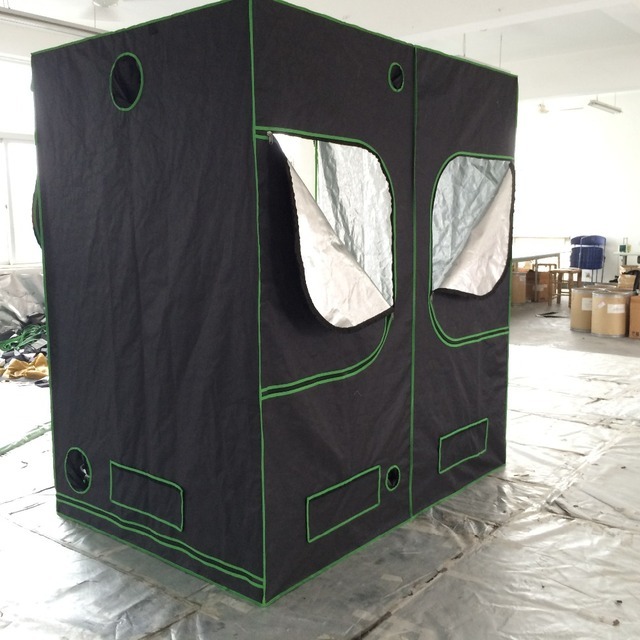 The advanced reflective surface is thermally adhered to the outer casing. Guaranteed not separate or tear. Surface is completely condensation free and fire-resistant. And of course, comes non-toxic and washable. • 2 Separate Floors – Separate floor pan with a 5 foot tall lip provides a second layer of protection so you don’t have to worry about any spills. • Tough frame – Frame and corner supports are designed with powder-coated, high-grade tubular steel. Guaranteed not to crack, bend or mold. You can remove the upper rails to provide overhead support for any type of lighting. • No tools required – Build the tent in minutes without any wrenches, screwdrivers or hassle. 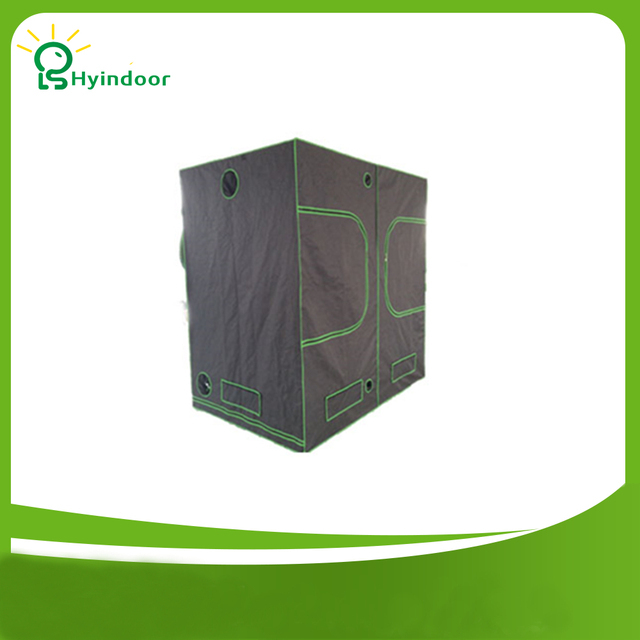 • Multiple access points – System contains 7 duct ports with drawstrings. You can tighten or loosen the ports to fit any size ducting or flanges by using the drawstrings. Open visors to control light coming in and out of the tent. Use these duct ports and windows in any combination you wish. We are connected with international shipping services that operate in over 200 countries and islands around the world. Nothing means more to us than bringing our customers affordable hydroponic equipment with professional service. We will adapt to meet the needs of all our customers, beyond all expectations and anywhere in the world. Yes. We provide free shipping to over 200 countries. However, there are some location we are unable to ship as of right now. If you happen to be located in one of those countries we will contact you. Expedited delivery, which delivers to your door in 2-5 business days can be purchased starting at $35. Some products have additional shipping terms and fees, see product page for details and options. By purchasing our products, you consent that one or more packages may be shipped to you and may get custom fees when they arrive to your country.We are not responsible for any custom fees once the items have shipped. Very rarely items can reach their destination at separate times a few days apart. If any of the packages have been tampered with please notify us immediately. Your order did not arrive due to exceptional circumstances outside the control of Goblin Hydro (i.e. not cleared by customs, delayed by a natural disaster).